Tom was excellent at fixing our piano. We were gifted a 100 yr old piano that hadn't been tuned or fixed in at least 30 years. We were told by other piano guys that it was not possible to really get it working. But one visit from Tom and we were convinced to update the whole thing. Now it's completely in tune and sounds like a it could be on a stage! Thanks Tom!!! Tom spent a lot of time and patience on my out of tune piano, having to do some painstaking work in addition to tuning it. He is truly an artist in his approach to the piano. He explained everything so that I could understand the process. My piano sounds beautiful now (and I will certainly have him back to keep it that way) Whatever issues you may have with your piano, Tom will be able to help you and will exceed your expectations! 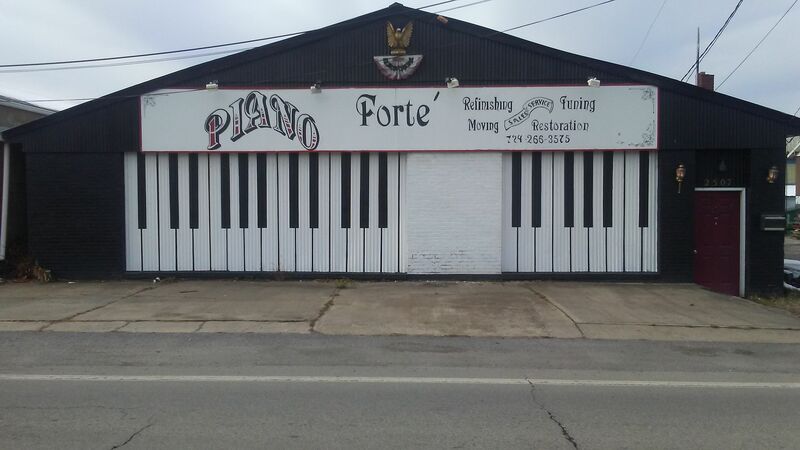 Tom Budjanec, who owns Piano Forte, is the best! My mother bought our upright piano from Tom. He tunes it, and he helped me move it into my new home. I trusted him to move it, and I live on a hill! He and his movers did a superb job! What separates Tom is his expertise and his caring nature. He is not only good at what he does but he is passionate about it. He wants to bring the love of music into people's lives. I will never go to anyone else! I can't say more amazing things about him! Piano Forte © All Rights Reserved.